UPDATE 2/16/16 10:10AM: A grammy rep tells TVLine Lauryn Hill "showed up during rehearsals, but arrived too late for the performance." 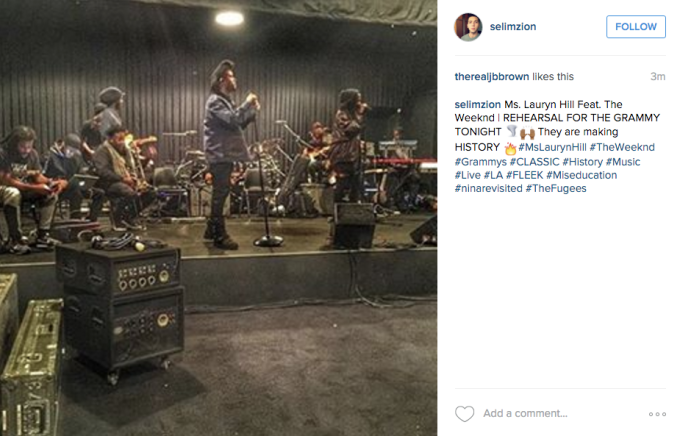 This would explain the rehearsal photos of Hill and the Weeknd that surfaced the day of the Grammys. See below for the original story published on 2/15/16. UPDATE 10:15PM: A rep for Lauryn Hill issued a statement on the rumors that she was set to appear at the Grammy Awards tonight. Read it below. The Grammy’s announced a performance by Ms. Lauryn Hill prematurely and without approval. Ms. Hill had concerts all weekend, leaving no time to prepare, and was uncertain she would even be able to make it to LA in time to rehearse for the event. Any performance that could have happened was never confirmed, and should not have been advertised as such. Ms. Hill was invited to do a collaboration with an artist she appreciates. The performance was intended to be a surprise and unfortunately due to its last minute nature, was unable to come to fruition. With the Grammys just hours away, some of the special surprises from the evening are starting to leak out. The latest one deals with the Weeknd&apos;s highly-anticipated performance, which looks like it will feature none other than Lauryn Hill. 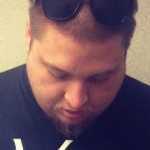 Details surrounding the possible performance are unknown, but photos of the two rehearsing this morning have popped up on Instagram leading everyone to speculate that they&apos;ll join forces for the big show. Tonight is already a huge event for the Weeknd, as he&apos;s nominated for multiple awards, including Record of the Year, and a performance with Lauryn Hill would be icing on the cake. While Hill&apos;s camp has yet to confirm anything for the show, a musician who works with her posted on Instagram that they were taking a private jet for to the Grammys from Boston. Be sure to tune into the show tonight to see how it all unfolds. We reached out to a rep for the Weeknd and will update when available.